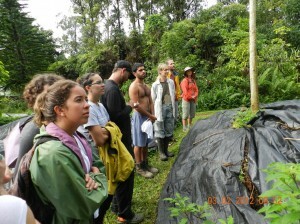 “We recently spent two nights on your farm, and they were easily the two most memorable days for my while on the Big Island. You and your home radiate joy and beauty. I hope to return someday for a longer stay! Keep being awesome.” -Shannon U. 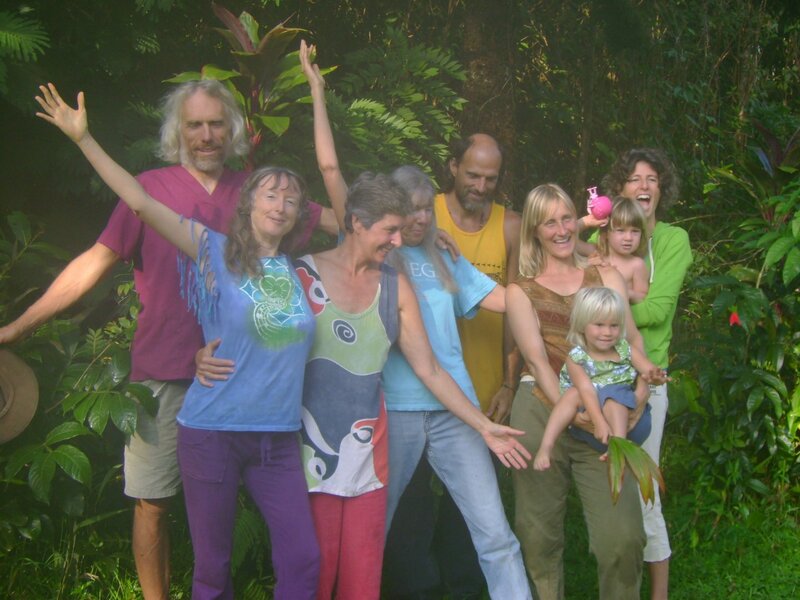 We love to meet new people, and a large part of our vision is sharing our lifestyle with others who wish to learn about it. If you are thinking of a visit to our farm, please contact us after reading these guidelines. For overnight stays, please fill out and send the Visitor Information Form. – Join us for a meal for a donation ($10). This is a good time to chat with us. 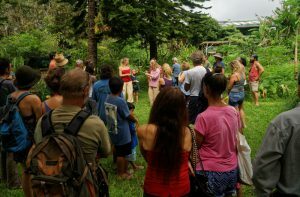 – Go on a guided permaculture tour ($20-40 donation): This gives you 60-90 minutes of focused attention from a member who will show you the permaculture aspects of our farm and answer your questions. – Help in the garden during one of our morning work parties, in trade for a meal or some produce that we have in abundance. You will be working with at least one member, and any number of farm supporters who are staying with us. Work parties are 3 hours long. We do not recommend this option if you have young children. Please call or email before you arrive; this is our home and some times are better than others for visits. If you have a child, please plan on having your child with you as you visit. We provide tours of our gardens and facilities for small and large groups. Call to schedule one in advance, and allow at least 3 days for us to return your call. This helps us to arrange our schedule to meet with you. Some guests would really like to share a few days with us to get the feel of our daily life. Please contact us if that is your interest. Please fill out and return the Visitor Information Form so we can better respond to your intentions and needs. Space is limited, so give us lots of notice! When you visit, as an individual or family, you will be assigned a community member as your liaison. We have a limited number of rustic housing options, and availability depends on how many farm supporters and other guests we are housing at that time. Camping is almost always an option. At La’akea, we all cook, eat and meet together in the same central building called our Main House. There is usually one meal a day prepared by community members for all on the land. We expect that visitors and members all be responsible for keeping it as clean and peaceful as possible. At this time, we request that guests with young children limit your stay to 2 nights maximum. We prefer to have no more than two visiting children at one time. We request that there be one adult for every child in your party (a 1 to 1 ratio). It may work for you to join in with the childcare that is already happening. You may ask if anyone would like to take your child for a time, or hire someone at La’akea for childcare. Please read our Childcare Policy so you understand our Connection Parenting style. If you would like to stay for a longer time, look at our pages about farm support and internships. We ask for a one month minimum stay in most cases. Contact us by Phone at 808-443-4076 or email us. We are located four miles south of Pahoa. For detailed directions call or email. We request that visitors only come by for posted events, or by contacting us and receiving an invitation.